Our monthly meetings are held 7.30 – 9pm on the first Tuesday of the month, February to November at the 3WAY FM meeting room on Hyland St, Warrnambool behind the SEAL / Community Education building. If you’re interested to learn about us, feel free to come along. On our December meeting date we have our end of year BBQ and announcement of the annual Don McTaggart Award for Excellence in Environmental Volunteering. From 10am – noon each Saturday after our monthly meetings we have a working bee at one of our revegetation sites. Depending on the time of year and the site, this may involve planting seedlings, tidying up or removing tree guards or doing a bit of weeding. Usually we shout our volunteers coffee and cake to say thankyou. Our working bees are an enjoyable social event as well as helping improve our environment. Between about September and April (depending on sea conditions) our volunteers regularly visit Middle Island to monitor Little penguin population numbers and health. By doing this each breeding season we collect data that to date shows that the colony is growing larger due to the protection provided by Maremma guardian dogs. Every year we hold information and/or fundraising stalls at the Lake Pertobe Summer Markets, Warrnambool Sustainable Living Festival, university O Week and more. These are fun to volunteer for and help our Network share educational materials and information as well as raise money. Friends of Merri Marine Sanctuary, Friends of Victoria Park, Friends of Platypus Park and Merri Wetlands Protection Group each run their own activities. 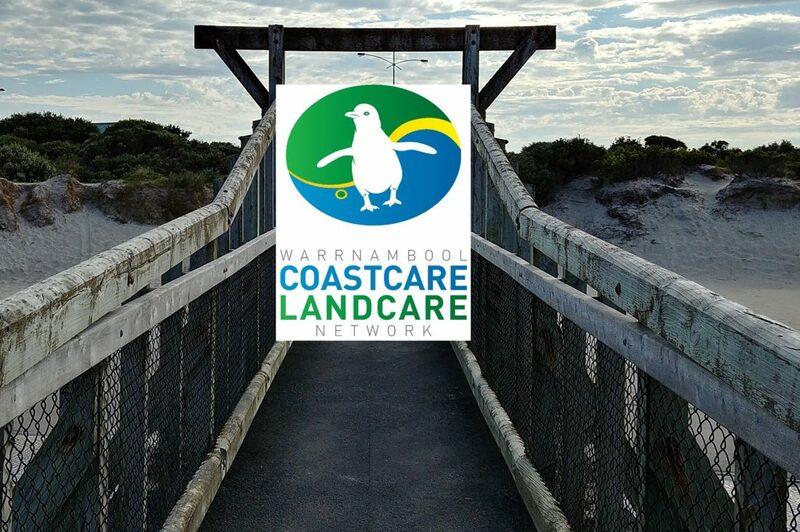 Warrnambool Coastcare Landcare Network will publicise these activities on our facebook page.